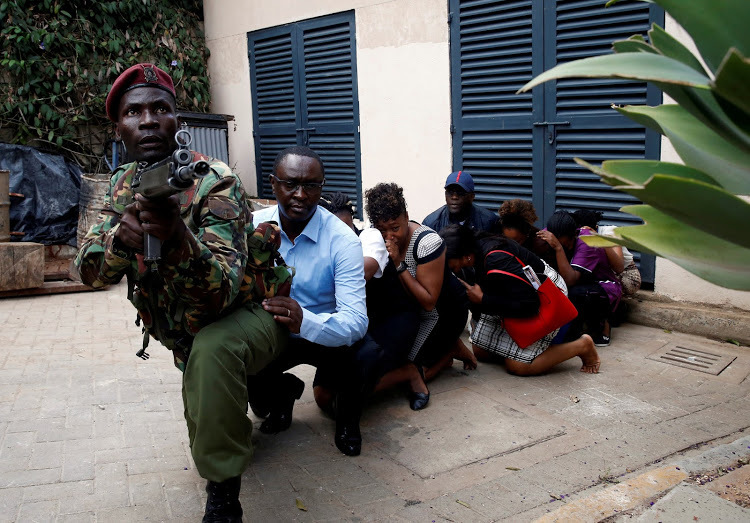 The President of Kenya Uhuru Kenyatta has confirmed that all terrorists involved in the DusitD2 hotel complex attack have since been put out of action and several Kenyan civilians rescued. Kenyatta was addressing the nation from State House Nairobi on Wednesday, shortly after the security operation at the hotel came to a close. “Kenya was yesterday attacked by gang of criminals hoping to terrorise our people by committing acts of murder. I can confirm that about 1 hour ago the security operation was completed and all terrorists eliminated,” Uhuru said. “We have confirmation that 14 innocent lives were lost in the hands of these terrorists and others injured. We are grieving as a country, my heart goes out to innocent men and women violated by these senseless terrorists,” he added. Uhuru assured the nation and the rest of the world that Kenya is secure for their stay and visit respectively, adding that the nation will go ahead to strengthen security systems starting today. Kenyatta however vowed that Kenya will seek justice against terrorism. Americans and the British were among the dead when gunmen blasted their way into a hotel and office complex in the Kenyan capital on Tuesday, killing at least 15 people and others injured after an attack claimed by Somali Islamist group al Shabaab.